Execu/Tech’s online hotel reservation system, when added to your existing web site, can save your property the expense of a fee based external reservation system. With Microsoft’s IIS software installed on your existing in-house server, you are ready to begin taking reservations live. Keep your profits where they belong. With greater than 75% of all internet sales being determined by the appearance and functionality of the site and buying process, you should make sure your guests have a safe and simple buying process. With ease of use and control, WebRes provides your guests a secure and functional online experience. With WebRes by Execu/Tech, you won’t have to pay fees to a 3rd party reservations service when customers make reservations on your own website. Real time availability. You do not need to “pre-block” a certain number of rooms. There is no chance of overbooking. As with Execu/Suite PMS, WebRes can be used with multiple properties; they can can display different rooms and availability based on one small link. Fully integrated accounting. Your guest’s credit card is securely captured and posted to your existing property management software and existing DollarsOnTheNet® credit card batch. The appearance of WebRes can be modified without having to learn any code. Optionally, WebRes can be tailored to meet specific property needs by Execu/Tech at a reasonable price. Various functions such as ‘check pricing and availability’, ‘enter reservation’, and ‘credit card authorization’ can be performed from your property’s existing web site. 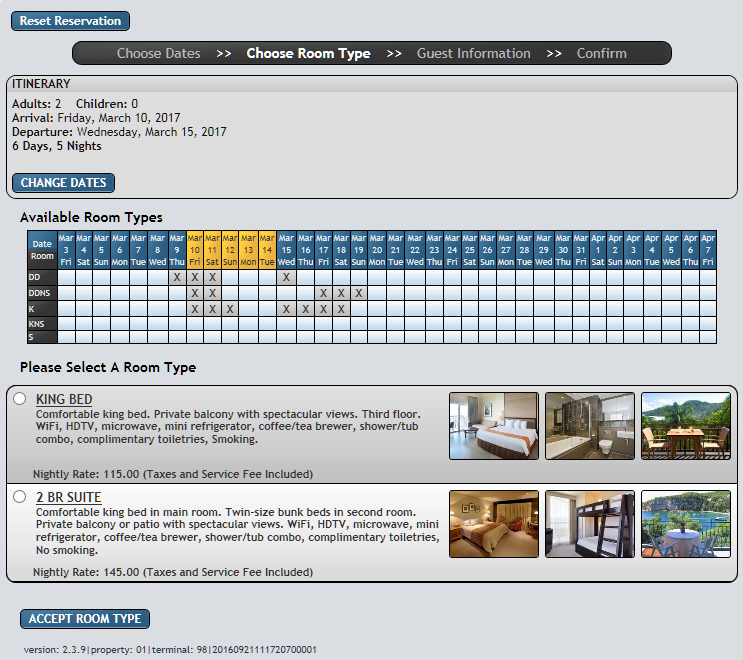 A potential guest or reservations employee enters information on a web page form such as room type, arrival and departure date, number of guests, then clicks a button that says “check availability”. Moments later, another web page appears with a description and price of available rooms. The guest may select one of the room types and click “continue”. Another page appears with a reservation form containing fields for guest information such as name, mailing address, email address, and credit card number for securing a room with a deposit. The user then clicks “submit reservation”, then another page appears to confirm that all necessary information was filled in correctly. Once everything looks correct, the user clicks “confirm”. Within a few seconds the guest’s credit card is authorized and an advance deposit is posted to your in-house system – Execu/Suite PMS.